The Microlight Alpine Jacket is a lightweight, narrow baffled down jacket with a weather resistant Pertex outer fabric. Lightly insulated Coreloft™ Compact hooded jacket with air permeable side panels. 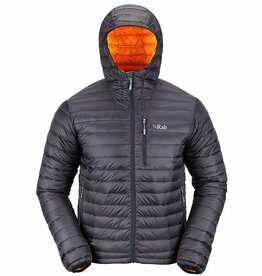 The Neutrino Endurance is a lightweight, fully featured and very warm down jacket designed primarily for climbing and mountain use.